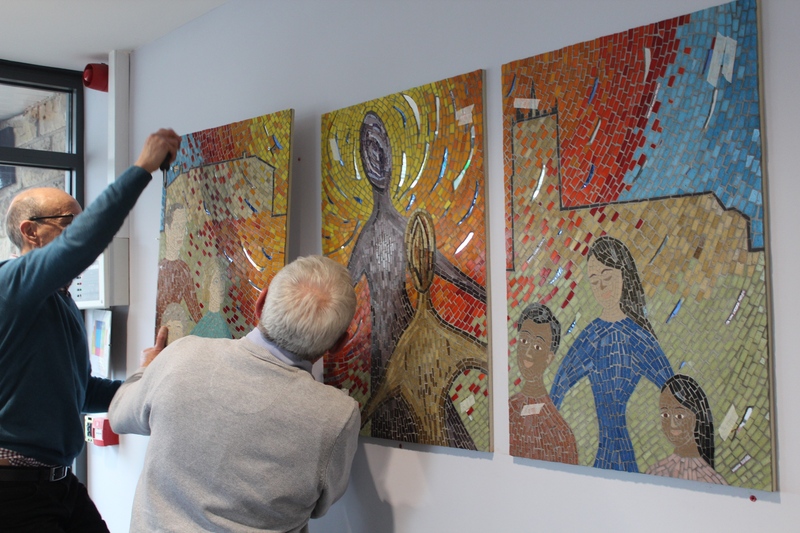 It was such an exciting day yesterday to see my mosaic installed at St Mary’s Church, Whitkirk in Leeds. 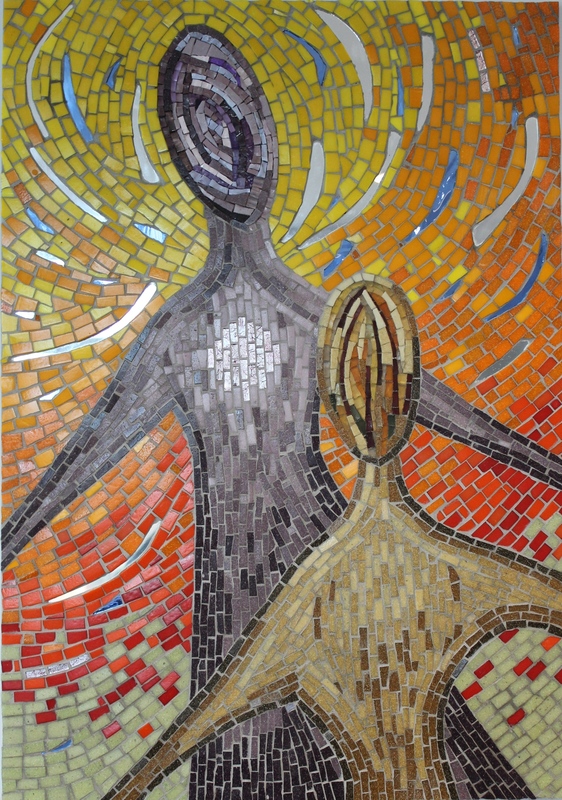 The theme of the mosaic is the return of the prodigal son. 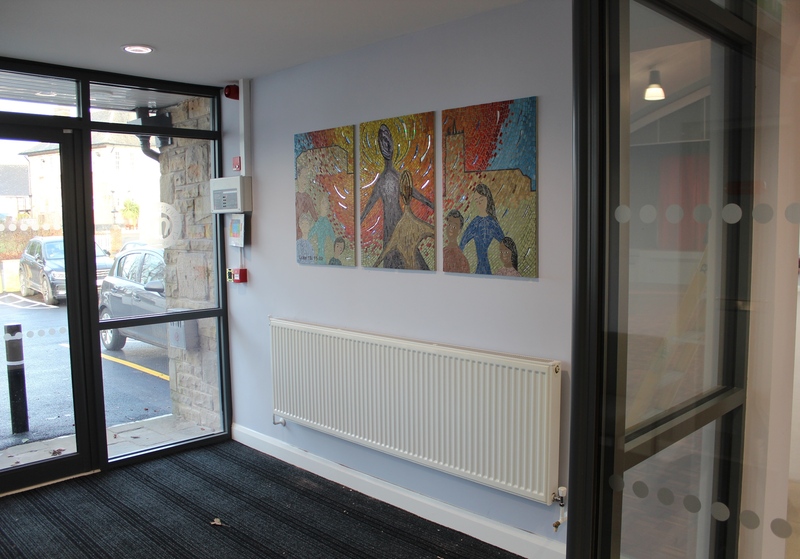 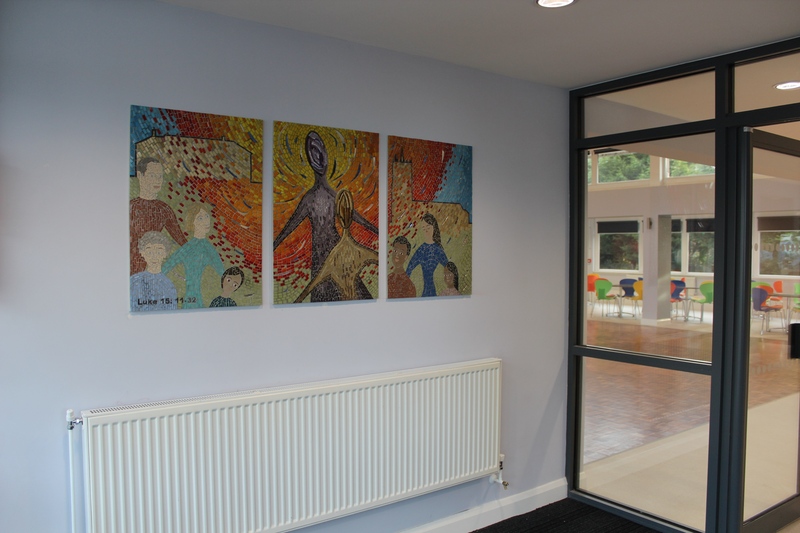 The left and right panels represent the local community with the pub and church both represented in outline and the faces realistically portrayed whilst the central panel is abstract to encourage individual interpretation of the story. 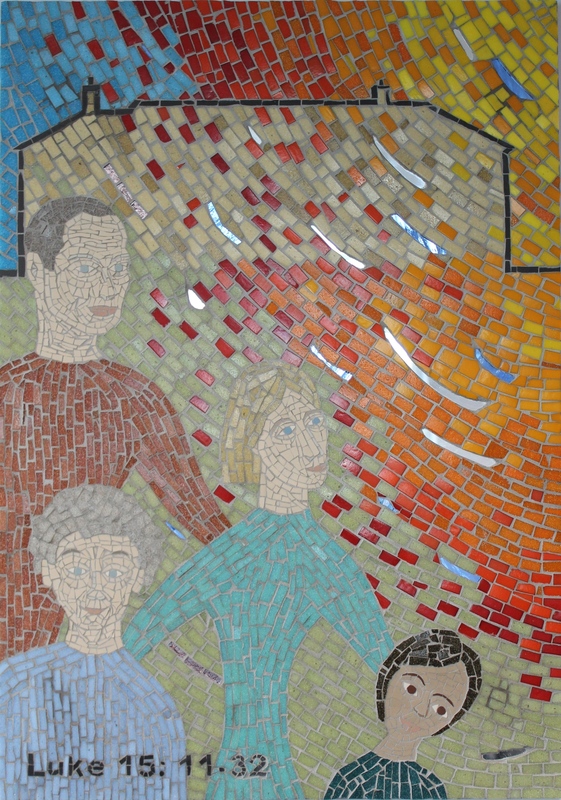 Many local residents and four primary schools contributed to the mosaic. 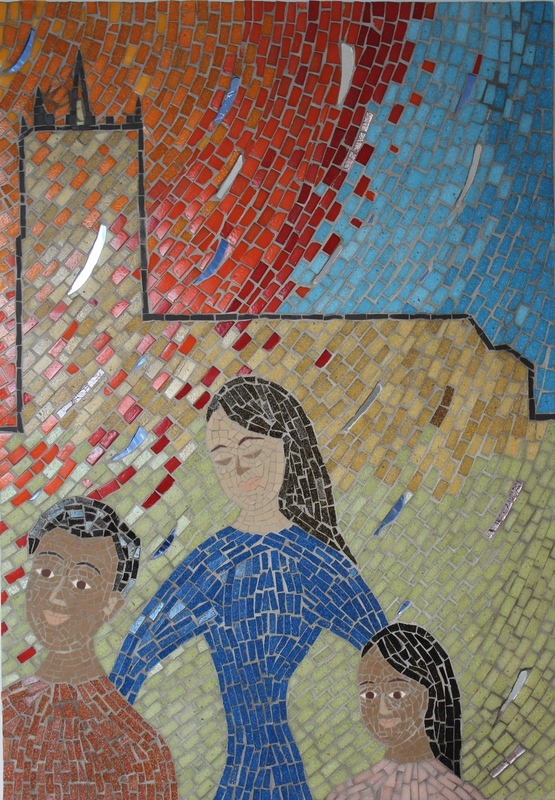 I feel really blessed to be asked to create this really special and memorable mosaic.